Will a live action adaption of “Akira” become real? Is it too crazy to believe? Will Warner Bros. really produce a live action movie of the groundbreaking Manga/Anime-Movie Akira originally written and directed by Katsuhiro Otomo? I always dreamed for it but had fear for it on the same time. 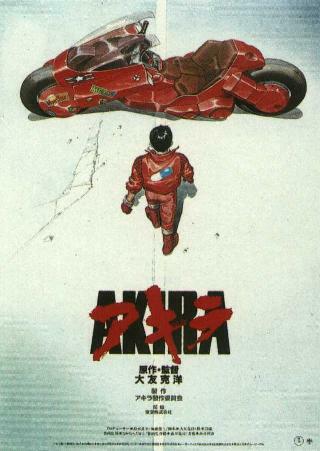 You know, Akira is one of my favorite sci-fi movies of all time. It was not only the first animated movie that literally showed me with a blast that an animated movie can go further than perfect looking princes or women singing songs. No, it was and still is one of the finest examples of animation I can think of. I still remember the first time I watched it. And my reaction to the first moment after the title “Akira” is shown above the nuclear crater. Believe it or not, but for a split second I really thought “Hey, this is really a live action movie with a short animation at the beginning, isn’t it?.” I even took a short look to the case just to be sure. It was that amazing for me. Those details, those realistic animations, those colors. And this mood and atmosphere. It was a mind blowing experience for me. Since the first rumors regarding a live action counterpart surfaced around 2002/2003 I was happy about it but in the same time full of anxiety. If done faithfully and right, I think that Akira (as a trilogy for example) could blow Matrix out of the water. It could become the defining sci-fi saga for this decade or the next. And it could go way further than the Matrix-Trilogy with its abysmal second and third part. Akira could become a milestone. Akira could become EPIC. But there is also some amount of fear, because I also think that they could destroy this saga with the wink of a script page. Although they don’t have to start from scratch, since there is the great source material of not only a movie but also the lengthy manga. So if given to the right hands and realized with some enthusiasm this one should be a sure hit. Nevertheless it will be interesting to see what Warner will do with a project that big. At least you can say, that they are making progress quite…interestingly at the moment. If you think of what is at stake is seems to be a bold move to hire the Irish newbie director Ruairi Robinson, who created some short movies but no feature. Either this guy is a genius, created a new script draft for Warner that rocked everyone out of their socks or he showed some real enthusiasm pitching this movie. I really hope it is all three possibilities at the same time. And you know what? I am quite sure with the first point, because I saw his short movie “50 Percent Grey” years ago and if nothing else it had a really great atmosphere. And considering the really, really, really high budget I don’t think they would hire someone like Uwe Boll (sorry, Uwe, you were the first one to pop into my mind). Boy, I really cant’ wait to hear more positive news from this hopefully epic project. Ha ha, just kdding; I do wonder what the casting will turn out like. Hopefully they won’t completely westernize the movie; while westernization is a big part of American culture (the act of taking other cultures and taking a crap all over them), I suer hope they don’t take it over the top and get, you know, Miley Cyrus to play Kei, or Brad Pitt to play Kaneda, or Jack Black to play… anyone. I also hope they stay true to the story and not ^@$*#%&(@%*Y%#! everything up due to budget issues; Oh, and about the actors, I really hope they at least try to get actors that fit the characters. 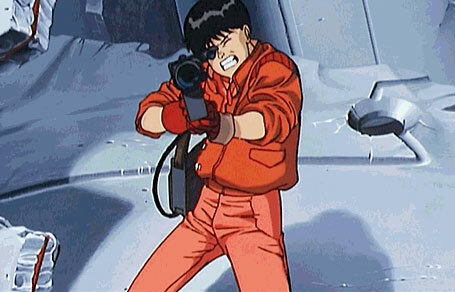 I prey to god that Tetsuo is played by a rather younger teenager and Kaneda is played by a slightly older teenager; I want the general, or colonel, or whatever, to be in his middle ages, I want Kei to still have the same outfit (I would have completely lost track of her in the movie if it weren’t for her clothes), I want Kaori to be pretty without being perfect, and I want the green children to be played by real people and not just be freaking CG rejects from star wars: attack of the clones. Well, if hollywood happens to be listening to this comment, I hope they actually listen… or at least aren’t getting ideas from it!